Newsroom - American Airlines Celebrates Opening of Five New Gates at Chicago O'Hare - American Airlines Group, Inc.
CHICAGO — American Airlines celebrated the opening of five new gates at its hub at Chicago O’Hare International Airport (ORD) on May 11, the first new gates to be constructed at the airport in 25 years. 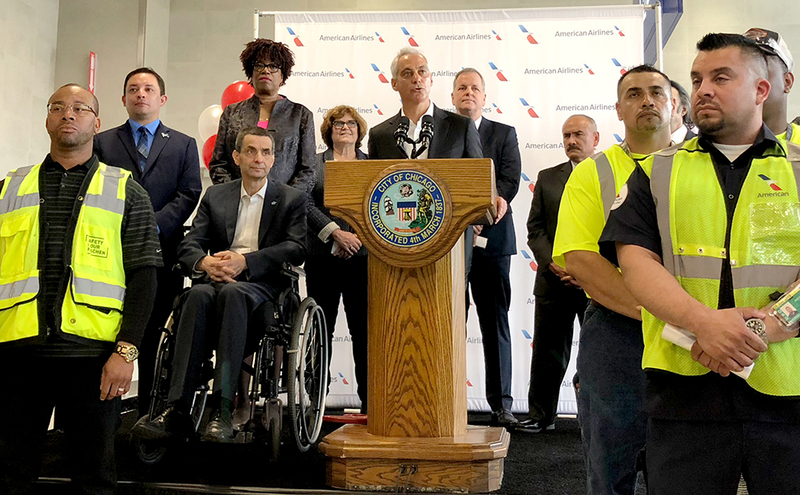 Chicago Mayor Rahm Emanuel joined CEO Doug Parker; Franco Tedeschi, vice president — ORD Hub Operations; Ginger Evans, commissioner — Chicago Department of Aviation; and ORD team members for a ribbon cutting ceremony to mark the opening of what is known as the L-Stinger. The $78 million construction project was completed on time over the span of 20 months. With the additional gate capacity, American is flying more seats out of Chicago this summer than at any point in the last 10 years. Just last week American inaugurated new service from Chicago to Venice, Italy (VCE), and Vancouver, British Columbia (YVR). 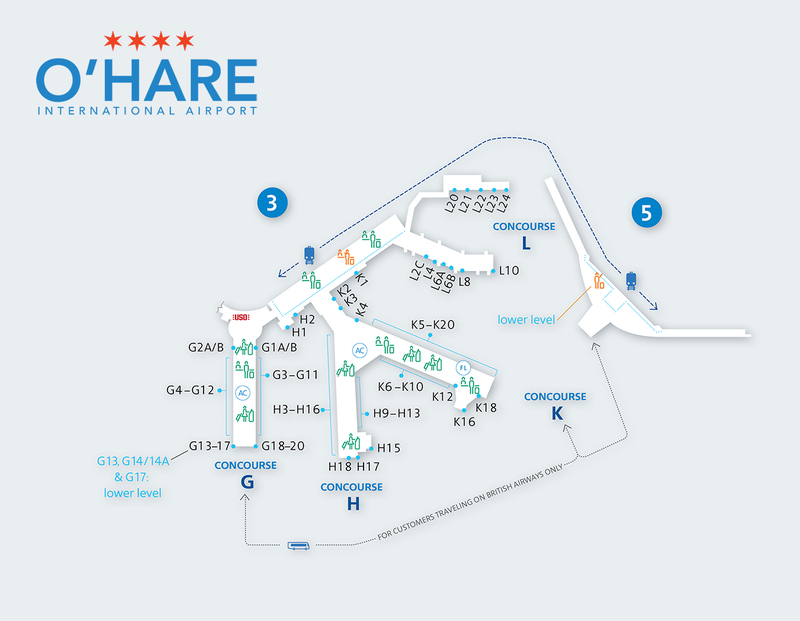 The new gates are the latest in American’s investment in ORD, including a new Flagship Lounge and renovated Admirals Club lounges, and later this year, a new hangar and ground equipment maintenance facility. CEO Doug Parker and Chicago Mayor Rahm Emanuel join city officials and American team members at the opening celebration of the ORD L-Stinger.